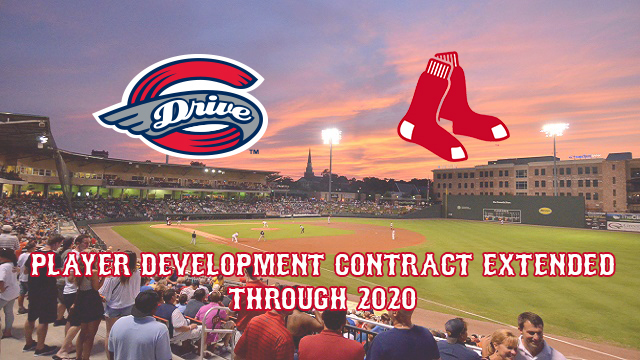 Greenville, SC -The Greenville Drive and Boston Red Sox have announced the extension of their Player Development Contract (PDC) for an additional four years. The extension keeps the Red Sox South Atlantic League affiliate in Greenville through the 2020 season. Drive Owner/Team President Craig Brown made the announcement during the team's Hot Stove Event on Tuesday, with Red Sox General Manager Mike Hazen and Drive Manager Darren Fenster in attendance. "It is a great honor to announce that our dynamic partnership with the Boston Red Sox will continue for many years to come," said Brown. "The Red Sox are truly a first-class organization from top to bottom, and they set an extremely high standard that is an inspiration to us on a daily basis. 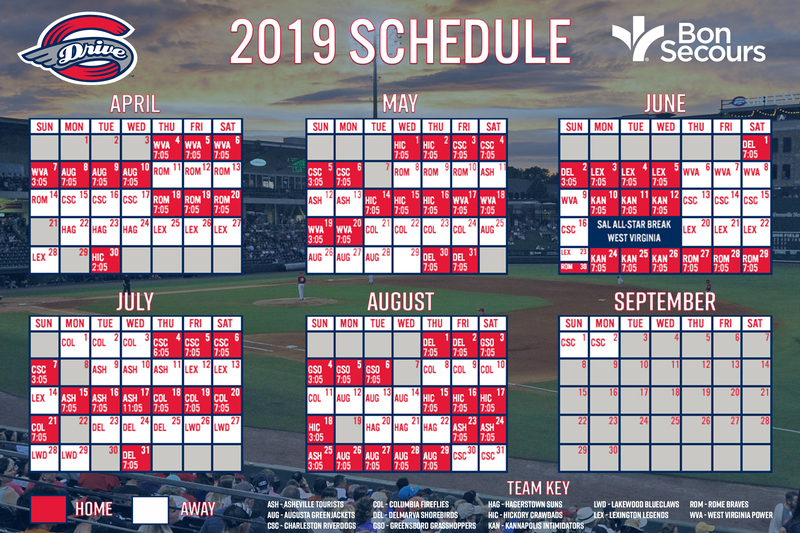 We aim to provide the Upstate and our fans with an affordable, entertaining experience at Fluor Field for everyone to enjoy, and the Red Sox play an integral role in allowing us to accomplish that objective. We look forward to our partnership with Boston growing even further as we begin our next decade of baseball at Fluor Field." The Red Sox originally entered into an agreement with the Drive when the franchise moved from Columbia, SC to Greenville for the 2005 season. The PDC had since been extended three times, most recently for four years through 2016 prior to the 2012 season. "Greenville is an extremely valuable affiliate for us, and the Drive ownership and front office, the facility, the city and the fans are all a major part in that," said Hazen in front of Drive fans during Tuesday's Hot Stove Event. "As the parent club, it's critical for us to have trust in our affiliates, and the Drive continually go above and beyond to provide our young players with a great place to continue their professional careers. We've been here in Greenville for a long time, and we're committed to staying here for even longer." This season begins the Drive's second decade of baseball in Greenville. Alumni who have recently appeared in the majors with the Red Sox include Matt Barnes, Mookie Betts, Xander Bogaerts, Jackie Bradley Jr., Clay Buchholz, Brian Johnson, Henry Owens, Noe Ramirez, Travis Shaw, Blake Swihart, Christian Vazquez, and Brandon Workman. Greenville's Fluor Field at the West End, which opened in 2006, is modeled after Fenway Park. Greenville is one of Boston's six domestic minor league affiliates, joining Triple-A Pawtucket (International League), Double-A Portland (Eastern League), High-A Salem (Carolina League), Short-A Lowell (New York-Penn League) and Rookie Gulf Coast Red Sox (Gulf Coast League). The Drive's 2016 season begins with Opening Night at Fluor Field on Thursday, April 7th at 7:05 PM. Ticket plans, group outings, and hospitality accommodations are currently on sale. Call (864) 240-4500 to speak with a representative or log on to www.GreenvilleDrive.com for more information.